People suffering from irritable bowel syndrome (IBS) can find symptom relief with a variety of dietary changes. Results from a new trial show that no one fixed approach will work for everyone, but there is merit in taking the principles behind the spectrum of dietary options and adapting to ‘what works’ for a person. Irritable bowel syndrome (IBS) is a common gastrointestinal disorder estimated to affect between 10 and 20 percent of people. Symptoms of IBS include abdominal bloating, pain, flatulence, diarrhoea and altered bowel habits. The cause of IBS is unknown, but environmental factors such as changes in routine, emotional stress, infection and diet are all known to trigger an attack. For a condition that affects so many people, there are few effective treatments. Eating more fibre, especially the more soluble form, appears to offer symptomatic relief in some people. Various self-styled exclusion diets are commonly used, but few controlled trials have been performed to support their benefit. One emerging dietary treatment for IBS that is gaining much attention is a low-FODMAP diet. FODMAP is an acronym for fermentable oligosaccharides, disaccharides, monosaccharides, and polyols and include carbohydrates such as lactose, fructose, fructans (long chains of fructose molecules) and sugar alcohols. 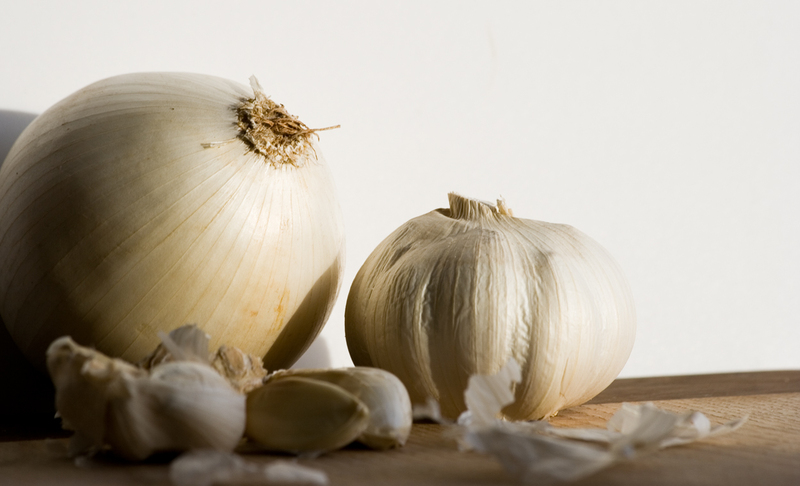 FODMAPs are found in many foods including wheat, milk, pears, plums, onions, garlic, and legumes. FODMAPs can be poorly absorbed in some people, leading to their accumulation in the small intestine and passing into the large intestine. Once there, they can draw more water into the bowel (increase the chance of diarrhoea) and also increase gas production from their fermentation by colonic bacteria. These effects of FODMAPs in the bowel explain many of the symptoms reported in IBS. The small number of clinical trials using low-FODMAP diets to treat IBS so far have shown a favourable benefit. But whether such diets offer a superior benefit over traditional management advice for IBS is unclear. Testing a low-FODMAP diet head-to-head against traditional management advice for IBS, Swedish researchers recruited 75 people who met the criteria for IBS. Each person was randomly allocated to follow a low-FODMAP diet for 4-weeks or received traditional advice. The study is available here. The traditional advice in the trial consisted of having regular smaller meals and having less caffeine, spicy foods, fat, and alcohol as well as restricting ‘problem foods’ such as onions, cabbage and beans. Neither group were told what the ‘label’ of their dietary advice was to help reduce a potential placebo effect by using the word ‘FODMAP’ as it now has some traction for the general public. By 4 weeks, 67 people remained in the study. Both diet groups saw a drop in IBS symptoms with no significant difference in symptom reduction between the two groups. Food diaries showed good adherence to the dietary advice given. What was interesting about the study, was that the two diet groups were not mutually exclusive. Some of the foods that are recommended to be eaten less of as part of traditional advice are also low in FODMAPs. This raises the possibility that combining elements of each approach might further reduce symptoms of IBS. IBS is a complex condition which appears to have a large degree of individual differences in what foods can trigger it. Results from this small trial show that no one fixed approach will work for everyone, but there is merit in taking the principles behind the spectrum of dietary options and adapting to ‘what works’ for the individual. Are Nashi Pears in the same FODMAP category as “normal” pears? Aw man, pears are my favorite fruit. I don’t know how strict I’ll be with cutting them out. But I know something needs to change so my IBS isn’t so bad.